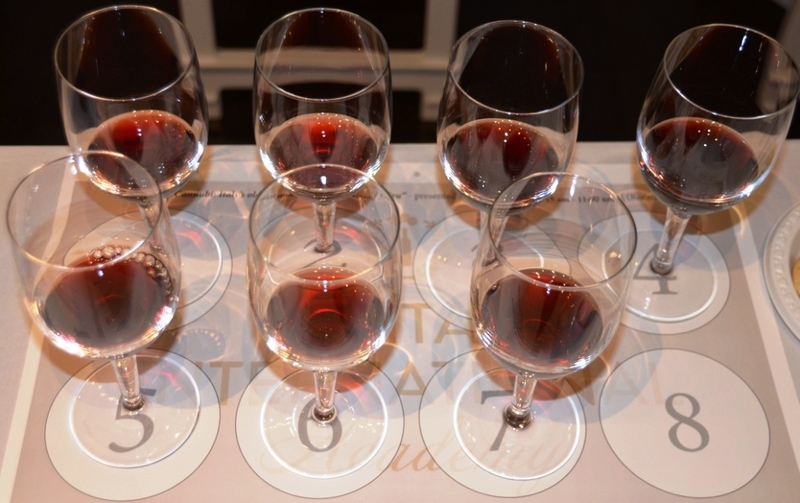 As promised, I’m continuing the VinItaly 2014 series (here is the first post). Barolo Cannubi was the first Masterclass I attended. The exact name of the class was “Barolo Cannubi: Italy’s oldest and most famous Grand Cru”, and it was taught by Dr. Ian D’Agata, the Scientific Director of Vinitaly International Academy (VIA). You probably know that Barolo is considered one of the most famous wines produced in Italy – “The king of wines, the wine for the kings”. Barolo is a part of Piedmont, the region in the northern part of Italy. Nebbiolo is one of the main grapes of Piedmont, with the winemaking history going back more than 700 years (first mentions of Nebbiolo are dated at 1268) , while Barolo wines only became well known some starting from 1962. It is interesting to note that Barolo region is often compared with the Burgundy. In Burgundy, the soil is the king, and different vines, located seemingly next to each other, can produce vastly different wines. Burgundy’s classification is based on Cru system, where all the Crus are assigned based on the established quality of the wines. While Barolo doesn’t have an official “Cru” system, the parallels are often made to designate some of the Barolo production zones as “Grand Crus” of Barolo. Today, Barolo has 11 of such “Grand Cru” zones – even though you will never see the words “Grand Cru” on the label of Barolo. The “Grand Cru” supposedly should have higher quality, which then translates into the ability to charge premium for your wines. Cannubi, the subject of our master class, is the oldest “Grand Cru” zone in Barolo, officially recognized since 1752. Cannubi is about 37 acres in size, and has 4 different sub-zones – San Lorenzo, Muscatel, Boschis and Valletta, each having its own soil type. Recently, Cannubi was a subject of controversy, where the number of winemakers tried to limit the use of the name “Barolo Cannubi” to apply only to the wines produced from the 15 acres sub-zone, and force the producers to use exact designation of the sub-zone, such as Cannubi Boschis or Cannubi Muscatel on the bottles of the Barolo if the grapes are harvested in one of those specific areas. This caused a revolt, and the attempt fail, leaving the situation as it always was. The producers have the right to designate their wines as Barolo Cannubi or Barolo Cannubi [sub-zone] or Barolo [sub-zone] as long as the grapes are harvested within 37 acres of Cannubi zone – this might not be best for the wine aficionados, but this is how things were historically. 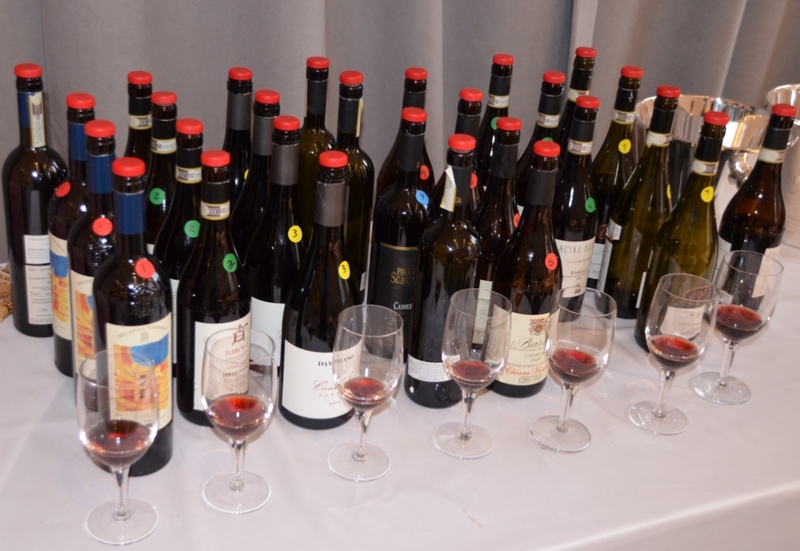 In the tasting, we had an opportunity to try 7 different Barolo Cannubi wines, all from the 2009 vintage (there was supposed to be 8 wines, but the wine #8, Ceretto Barolo didn’t make it through customs on time). As you can imagine, the color of the wines were quite similar, somewhat of the brickish red with the hint of an orange hue, a characteristic color of Nebbiolo – therefore I will not be pinpointing individual colors in the notes below. Palate: Strong tannins, mostly locked in. This was definitely a very interesting masterclass. We learned lots of interesting facts about Barolo – while I heard about Burgundy comparison before, only now I started getting an understanding of it, so this was definitely a personal discovery. This is the great thing about the wine world – opportunities for learning and discovery are endless! Next up – an Amarone Masterclass report. Stay tuned… Cheers! It sounds like you had lots of fun attending that masterclass. Thanks for the report on these great-looking Cannubi Barolo! In my opinion these Barolo are way too young though but unfortunately at trade shows like VinItaly or SlowWine the wineries always present their latest vintage instead of vintages that are ready to drink..
I’m looking forward to your report and tasting notes on the Amarone masterclass. My pleasure! It was a great wine!